It is important to know the facts about H1N1, as this subject raises much confusion among some while others remain completely uneducated about the flu in general. The best way to avoid fear, panic, contact with the virus and serious consequences, you need to obtain knowledge on this subject and pass it to others. Obtaining facts can also mean the difference between life and death in a post apocalyptic environment. The H1N1 strain of the flu virus first made headlines when it caused a worldwide pandemic in 2009. This virus came in several waves, caused many deaths, fear among those who worked or lived with pigs, and left scientists with much research on their hands. The outbreak passed, life returned to normal, scientists revealed their findings and vaccines were in high demand but short supply the following year. Initially, the facts about H1N1 were incorrect, as scientists thought the h1n1 flu virus was the same as the strain that comes from pigs so they referred to the illness it caused as the swine flu. Traditionally, swine flu only affected a small population of people, typically those who handled pigs, like zookeepers, families that visited petting zoos and farm workers. This form of the flu is less severe and does not spread from person to person so it would not have the ability to cause a pandemic. The flu that broke out a few years ago, now referred to as the "H1N1 virus", "novel H1N1", "quadruple reassortant H1N1", or the "2009 pandemic H1N1", is highly contagious and affected people all over the world. The H1N1 symptoms were worse than those that occur with a seasonal flu and caused a number of complications in people with pre-existing medical conditions, children under the age of five, pregnant women and among those who are over the age of 60.These populations are also at the highest risk of dying directly from the H1N1 virus or as a result of medical complications caused by this type of flu. The major differences between this strain, the swine flu and the type of seasonal flu you usually get, lead scientists to do a lot of research, thereby obtaining a number of facts about H1N1. Scientists learned that H1N1 was a mutant strain of the original swine flu virus that was stronger and combined genetic pieces from the swine, avian and human flu viruses. We urge you to research the side effects and dangers associated with the flu vaccine before getting a vaccine. Vaccines to protect against H1N1 are now available but may offer little to no protection, as those previously exposed are likely to now have a natural immunity to the strain. The flu virus can also continue to mutate and in a year or two or twenty, it is possible to see another pandemic causing strain of the flu virus. Again, it is unlikely for the H1N1 virus to threaten humanity and cause another pandemic but other strains of the flu do exist and they can all mutate into another super virus fully capable of wreaking havoc. In a post apocalyptic world, where medical care is scarce and healthcare professionals have limited resources, the best way to survive is to avoid catching this virus. 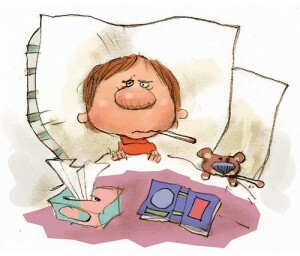 The most helpful facts about H1N1 or any other strain of the flu is to avoid contact with those who are sick, do not share utensils, food or drinks, wear a breathing mask during flu season and eat foods high in vitamin C and iron. Staying active and being in shape also helps to create a strong immune system, as does breast feeding and exposing young children to less harmful germs by not using alcohol based hand sanitizers and letting them get plenty of fresh air. These basic facts about h1n1 should give you a better understanding of this particular virus, as well as the flu in general. It is important to remember that although H1N1 may no longer be a threat, other forms of the flu can attack during any future winter season. More importantly, you have to think about biological warfare and the ways an enemy may use this common virus to hinder civilization or bring down nations.